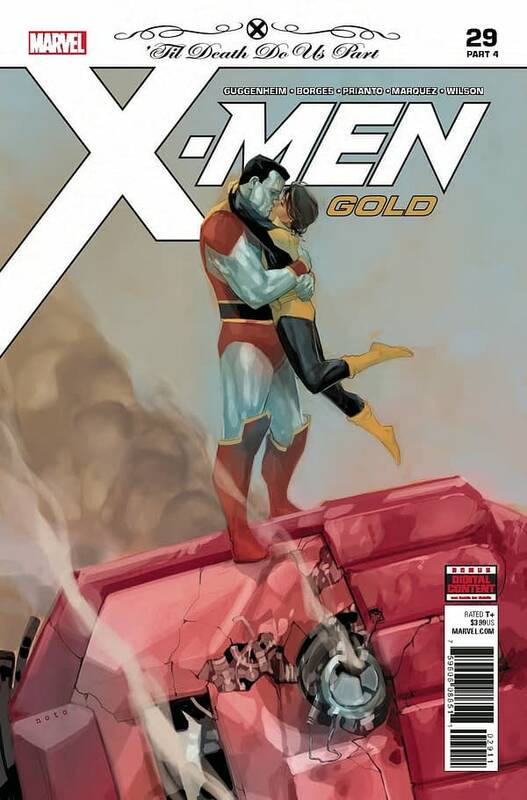 Two nights ago, Bleeding Cool told you that X-Men Gold #30, the Wedding Twist issue, had sold out fast and was going to a second printing. Well, it looks like it will have some friends to accompany it. The following titles are also going to second printing. Thor #1 – in both a Wolverine and Christian Ward variant. While the following are going to third printing. • Get ready for a fatal confrontation with the GOLD team’s newest nemesis! • …and it’ll take him back to the carnival – but this time it’s ARCADE’S MURDERWORLD! • If Clint can sneak through this deadly locale, he’ll be faced with a foe – and a decision – that will forever alter the course of his destiny. • But WHO is he after, and WHAT have they done to warrant such a hunt? • Clint better be careful if he wants to stay one step ahead of the marshal on his tail-a FAN-FAVORITE villain you won’t want to miss in the Wastelands of OLD MAN HAWKEYE!